As a highly-qualified dentist in Escondido, Dr. McMaster loves meeting and working with a variety of people. 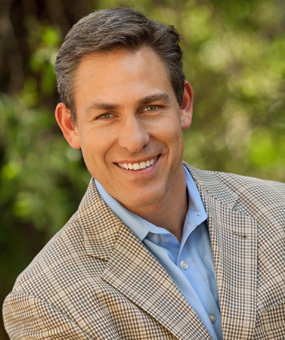 Dr. McMaster was born and raised in Southern California, and did his undergraduate studies at Brigham Young University. He then attended the University of Iowa College of Dentistry and graduated with honors in 1995. In Dental school he received several awards for excellence in clinical dentistry. Upon completion of Dental School he joined his Father-in Law, John H. Dow Jr. and became a partner in the practice. After 35 years of serving the community Dr. Dow retired and Dr. McMaster became the sole owner. Dr. McMaster is a member of the American Dental Association (ADA), the California Dental Association (CDA), and the American Academy of Cosmetic Dentistry (AACD). Dr. McMaster is committed to frequently attending continuing education courses to stay current with the latest trends in dentistry. He has been married for 25 years to his wife Deon and they have 4 children, Jessica, Zach, Jordyn and Jaycee. They reside in San Marcos. Dr. McMaster enjoys weightlifting, skiing, snowboarding and can frequently be found on his mountain bike! As a preferred dentist in Escondido, we are confident Dr. Todd McMaster would be a great choice for you and your family. Contact our practice today to set up your appointment! Schedule your comprehensive consultation with Dr. McMaster today!